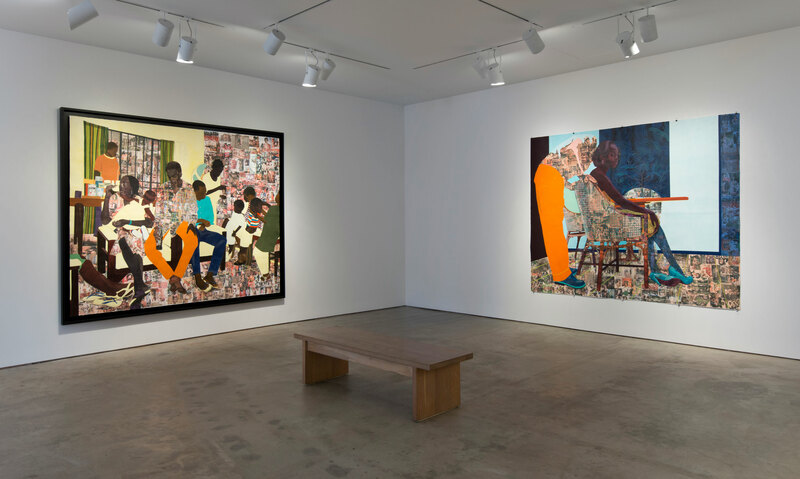 Njideka Akunyili Crosby's (b. 1983) large scale works on paper combine collage, drawing, painting, and printmaking, fusing African and American influences and creative traditions. 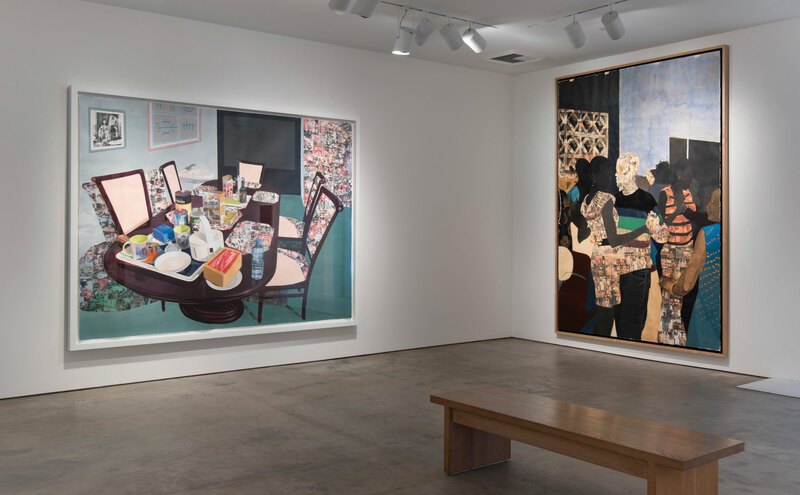 Reflecting on contemporary, postcolonial African cosmopolitanism and her experiences as an expatriate living in America, her intimate paintings provide an important counter-narrative to the often troubled representation of Africa’s complex political and social conditions. This exhibition, comprising a selection of earlier works, marks the artist’s Los Angeles institutional debut, and is presented in conjunction with an exhibition of new works at Art + Practice, opening September 12. 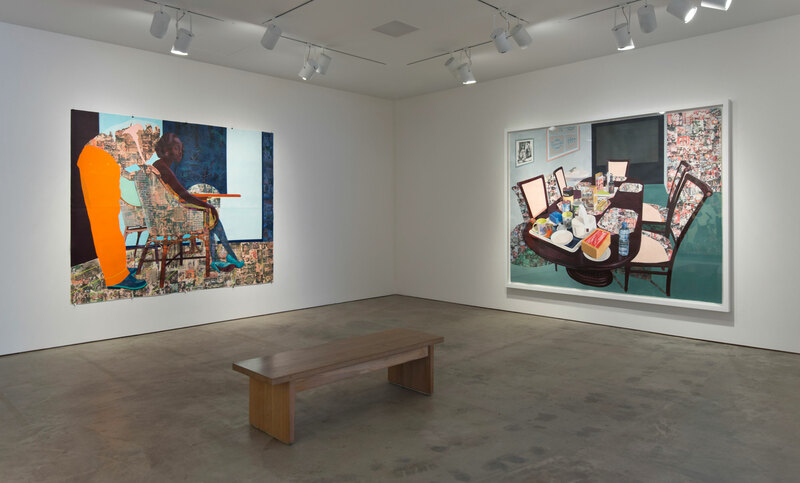 Hammer Projects: Njideka Akunyili Crosby is organized by Hammer assistant curator Jamillah James. 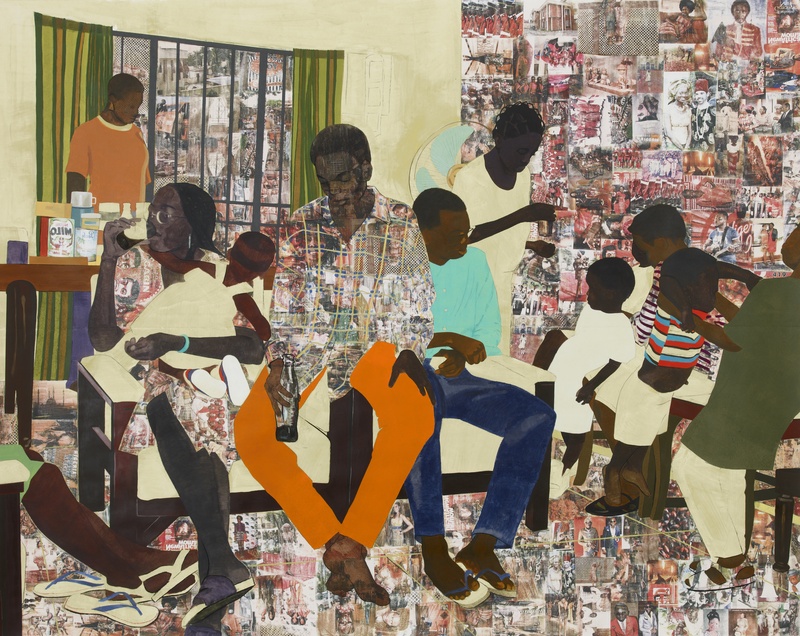 Njideka Akunyili Crosby was born in Enugu, Nigeria in 1983. She currently lives and works in Los Angeles. 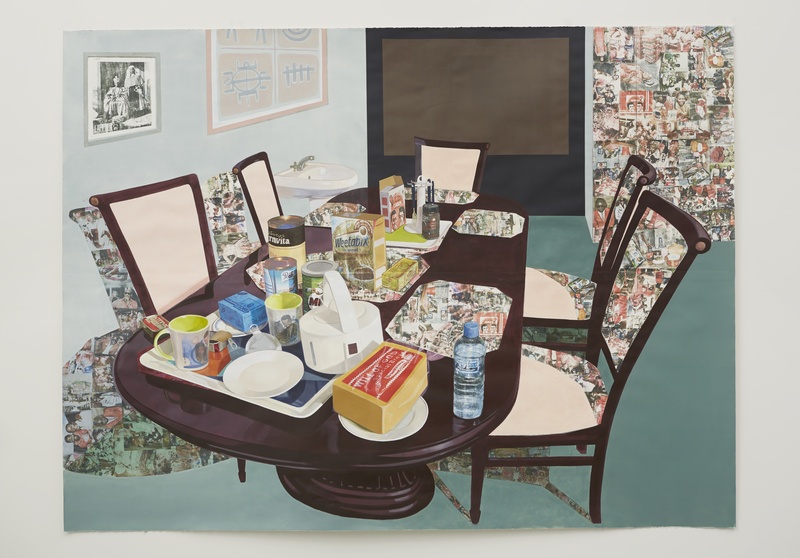 In 2014, she received the Smithsonian American Art Museum's James Dicke Contemporary Art Prize. She has recently participated in exhibitions including Surround Audience: New Museum Triennial 2015 at New Museum, New York; Draped Down at The Studio Museum in Harlem, New York (2014); Sound Vision at the Nasher Museum of Art at Duke University, Durham, North Carolina (2014); Meeting in Brooklyn, curated by Monica Lenaers at the Landcommandery of Alden-Biesen, Bilzen, Belgium (2014); Shaktiat Brand New Gallery, Milan (2014); I Always Face You, Even When it Seems Otherwise at Tiwani Contemporary, London (two-person show with Simone Leigh, 2013); Domestic Experiences, Foreign Interiors at Sensei Exchange, New York (two-person show with Doron Langberg, 2013); I Still Face You at Franklin Art Works, Minneapolis (solo show, 2013); New Works at Gallery Zidoun, Luxembourg (two-person show with Abigail DeVille, 2013); Jump Cut at Marianne Boesky Gallery, New York (2013); Housewarming, curated by Elizabeth Ferrer at BRIC, New York (2013); Bronx Calling: The Second Bronx Biennial at the Bronx Museum, New York (2013); Primary Sources at The Studio Museum In Harlem, New York (2012) and Lost and Found: Belief and Doubt in Contemporary Pictures at the Museum of New Art Detroit (2012). 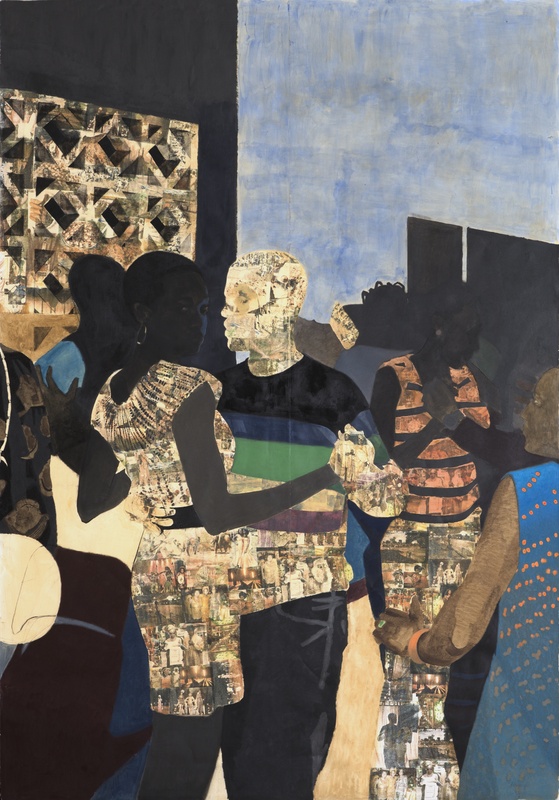 Her work is in the collections of major museums including Yale University Art Gallery; San Francisco Museum of Modern Art; The Pennsylvania Academy of the Fine Arts; The Studio Museum in Harlem; The Nasher Museum of Art at Duke University; and Tate, London.